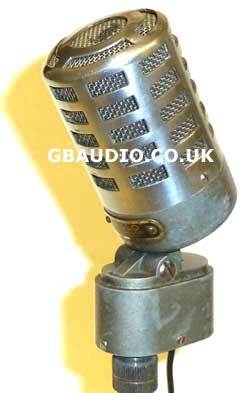 A beautiful vintage mic with adjustable "hinged" cast alloy body and chrome plated cover. A top quality ATM61HE hi-dyn dynamic insert, with balanced XLR connector and integral thread mount for mounting on to a mic stand. History: Approximate year of manufacture 1941. This was originally a ribbon microphone for recording.